I made 12 more blocks from bright solids and sewed this top together. I thought you might want to see how I made these blocks. I was inspired by Bonnie Hunter’s Scrappy Mountain Majesty pattern that is free on her web site. 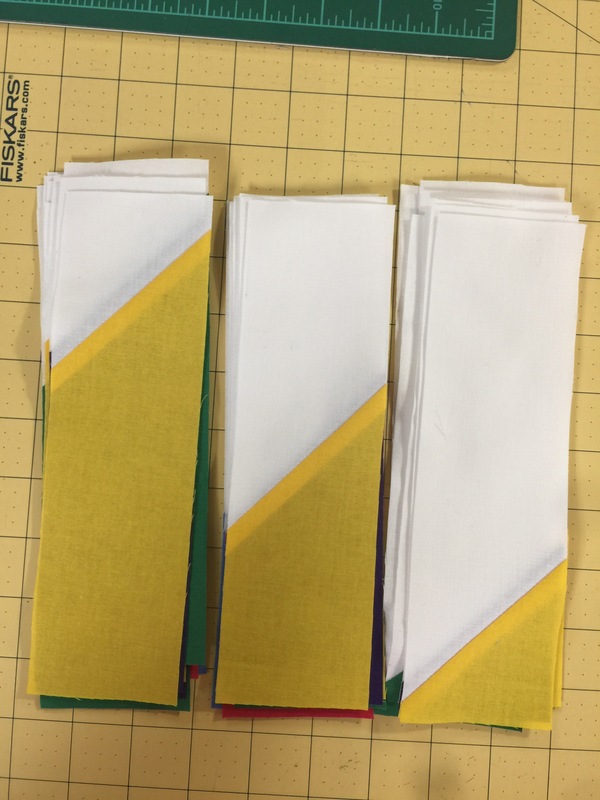 I started with 10 inch squares and made them into large HSTs as I showed in this post. I trimmed these to 8 1/2 inch blocks as also explained in the above linked post. Then I placed them on my 2 1/2 inch strip die allowing an equal amount tohang over each edge as shown below. I layered multiple blocks as shown, making sure the seam allowances were not on top of one another. For this quilt, I placed all of my HST blocks on the strip die the same way. You could make mirror image blocks for a different layout. As you can see, I had just a bit of waste here. I ended up with three different stacks. 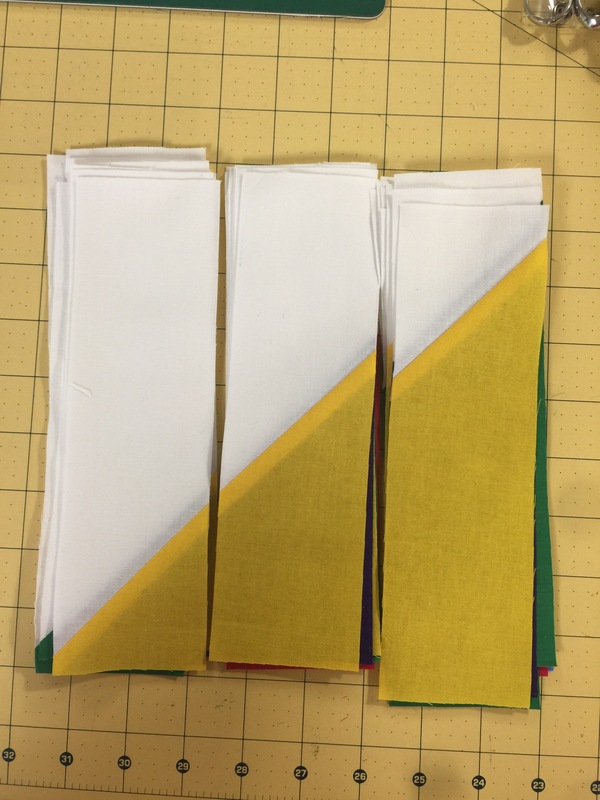 Then I repositioned these stacks and sewed them altogether. This resulted in blocks that finish at 6 by 8 inches. 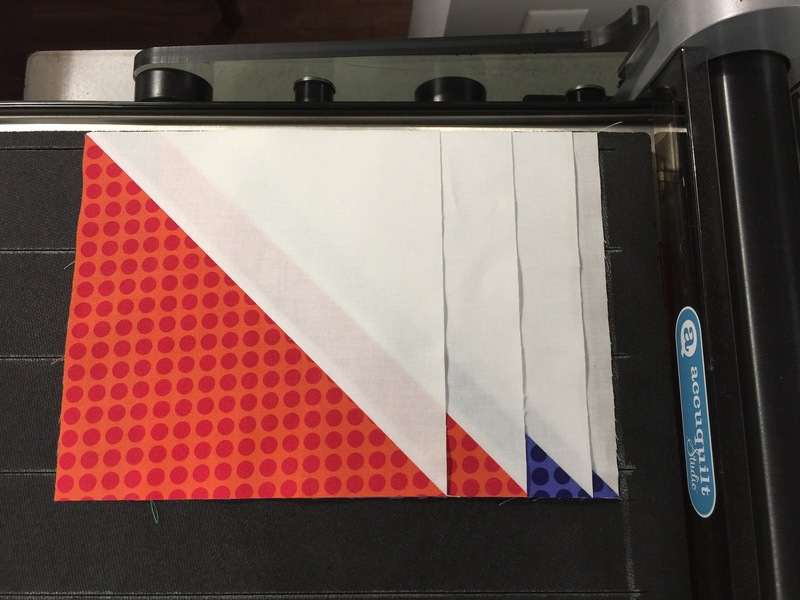 I could have used a 2 inch strip cutter die and gotten a block that looked more like Bonnie’s. For this quilt, I like my version just as well. Time to pick out a backing and quilt this baby! I love finding new ways to use my Accuquilt cutter. 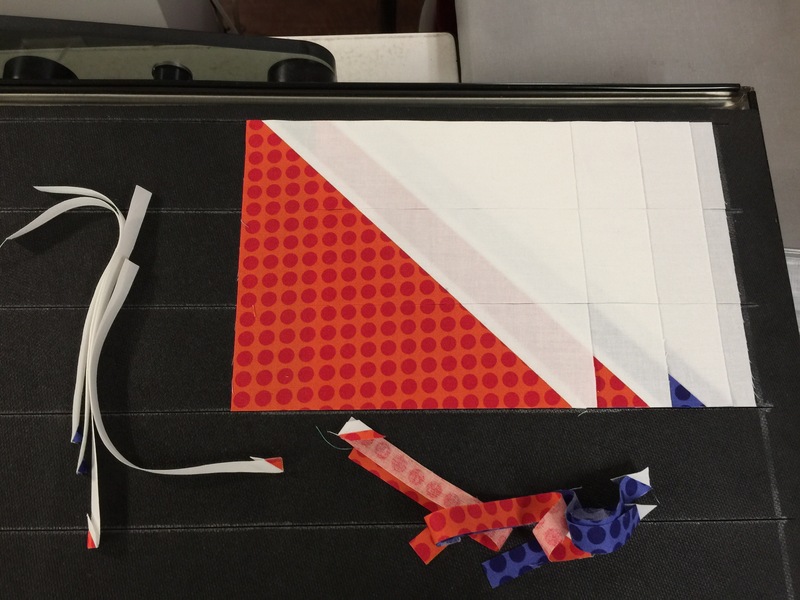 This entry was posted in Accuquilt, Accuquilt Studio Cutter, Tutorials, Uncategorized. Bookmark the permalink. This is a very nice quilt!! 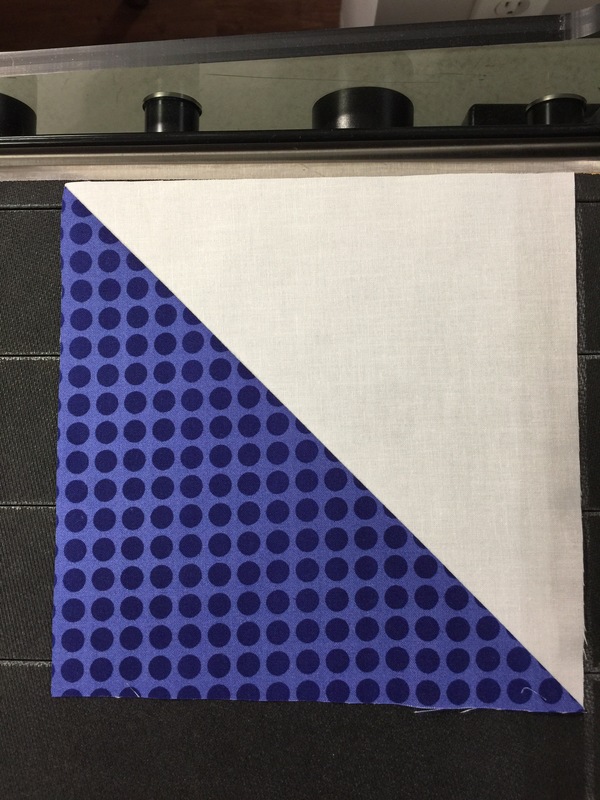 I like making HSTs so I should give this one a try. Thanks for the inspiration. Very clever! I’d guess that you could make some that are reversed, to mimic the traditional delectable mountains block. Thanks for sharing! Love all the colors. This pattern would make a great 2 color quilt. 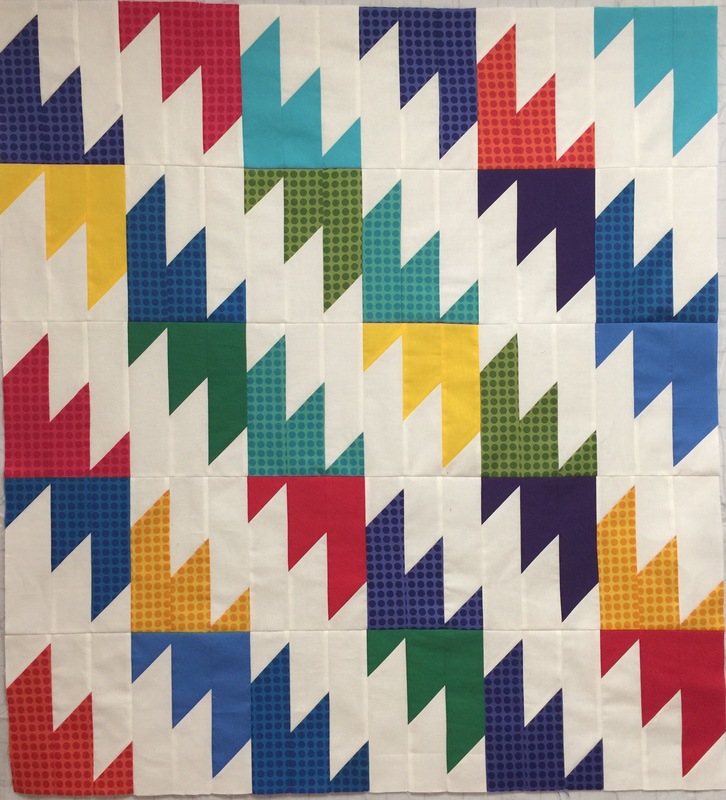 What a great quick and easy quilt! And thank you for sharing the how-to! 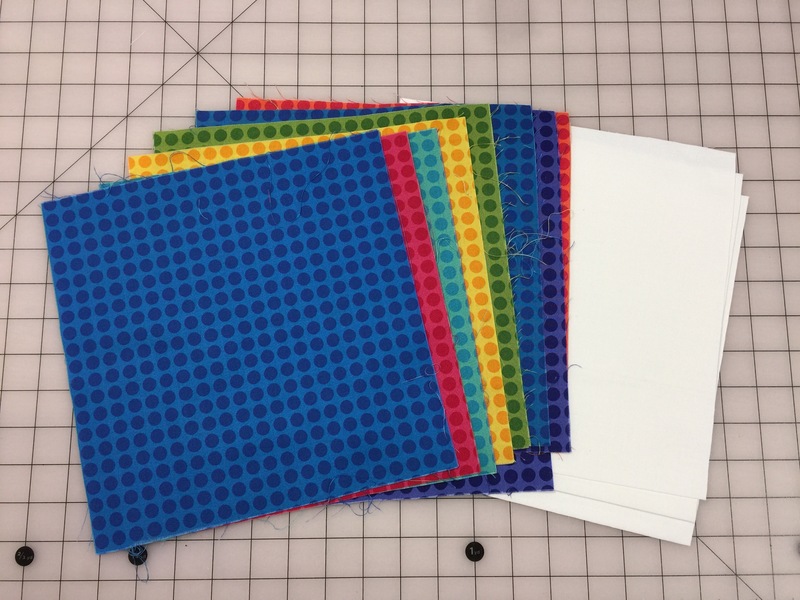 Do you have the Studio AccuQuilt? Looks so nifty and fast. This is so cute! I love this layout!